Hello everyone. With thanksgiving being celebrated this week, people in blog-land have been thinking about - being thankful. Today I wanted to share with you a few things that have happened this week that I am thankful for. This week I've received two beautiful bunches of flowers. One from M (peach and white) to celebrate our pearl wedding anniversary (30 yrs) 21st November 1987. Following the October '87 hurricane storm (here where Michael Fish declared there won't be a hurricane) saw the little church we married in (Purbrook Hampshire), still suffering the effects of the storm. Wood propped up the entrance and the photographs were governed by areas clear of damage. A view of the delicate rose. This peach rose was the colour of my 3 bridesmaids dresses. Teen 1 made us a picture using profile pictures and computer graphics. Lots more decorating to do up the stairs and in the lounge, this side with the double fronted fire is the dining room. For those that have been to my house, the 2 fireside chairs are where the dining table was and the hearth once housed the French dresser. Incidentally both sides of the stove have 2 extra windows providing an almost all round view of the inner fire. From the lounge side looking into the dining room. It has made such a difference with an even flow of heat, the heat powered fan on top of the stove helps send the heat up the stairs. Previously the dining room was an icebox even with the central heating on, and the staircase pulled a cold draught down the stairs. I'm glad the fireplace and chimney work is all finished, it's taken a while as extensive chimney repairs were needed to make everything safe. When I haven't been working or cleaning up 'everything' (feels like), or working through my 'to do' list, I've crocheted a bit more of my blanket (just the border to go now) and crocheted an angel. This one stand on a dolly clothes peg. It has a flat circular disc that it sits in to hold the peg upright. I'm not sure if the pattern is still available, I've looked but couldn't find it. The magazine it came from was this one here. The angel from behind. I'm glad it's finished, the yarn was a cotton mix (new yarn) from Sue Ryder. The gold sparkly yarn was in packs from Aldi. Wooden dolly peg was available from Boyes. I'm not sure if I'll do another yet, maybe. 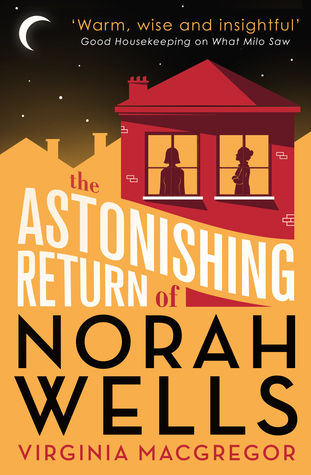 The book club read for November - also called The Return of Norah Wells. For the questions I turned to the author Virginia MacGregor herself, she provided a list of 10 questions ready to use which made me very happy indeed. I loved that she'd thought of this part, her questions are here. I've always wanted to belong to a book-club and I'm very pleased to be with the people in my village. 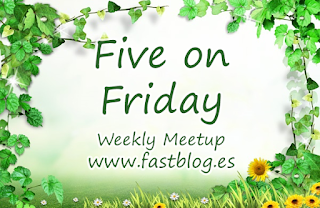 Thank you for reading my five things I'm thankful for this week. What are you thankful for this week, do leave a comment. Congratulations on your pearl wedding anniversary, your flowers are beautiful. It must be a relief to get all the chimney work finished and your lovely fire in, just in time for the cold weather too, so I'm sure it will be put to good use straight away. Your flowers are just gorgeous. Congrats on your anniversary. Congratulations on your anniversary! I really like your double sided fire, what a fabulous way to keep two rooms warm and cosy with one fire. Arh bless you Lee, thank you. My wedding cake was a 3 tier horseshoe shape in peach with white iced flowers. I just liked it, spoke to the lady who was going to make it and between us, that's what we decided.